One person can make a difference. Working together we make lasting changes, believes Anuja Bansal. 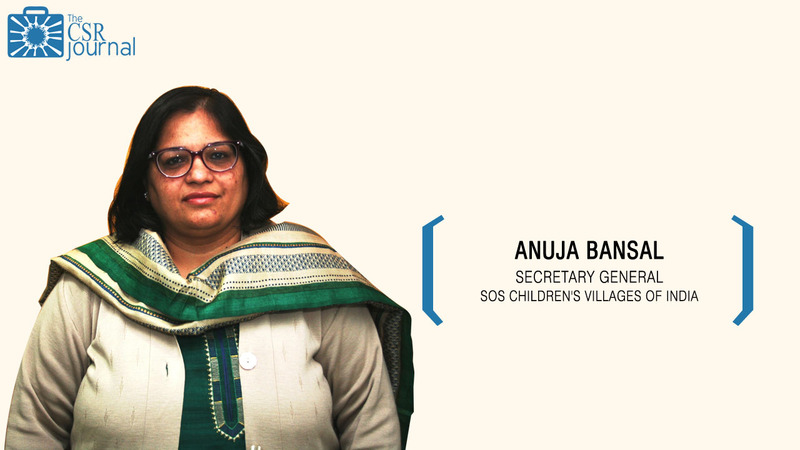 As Secretary General of SOS Children’s Villages of India, her role is to lead the organisation in the strategic direction they have envisaged for themselves by 2020 and 2030, with the support and partnership of all stakeholders. With over five decades of experience in providing committed child care and service to once parentless and abandoned children, SOS Children’s Villages of India is the flagbearer in the country in providing group foster care. It is an independent non-governmental organisation, providing family-like care to children deprived of parental care and the support of a family. It is one of the first NGOs to be accredited by CRISIL for “Strong delivery capability and Highest Financial proficiency”. The brand is also rated by TRACE for anti-bribery and anti-corruption practices and was the first NGO in the sector to be awarded the “Super Brand” status. “We are a large, self-implementing organisation, with over 1700 employees and pan India presence at 32 locations in 22 states. Over 26,000 children are receiving holistic care, love and protection through two flagship programmes; Family Like Care (FLC) and Family Strengthening Programme (FSP),” says Ms. Bansal. SOS India raises about 50% of its funds from corporates through CSR funds. “We work with at least 60-70 corporates from various sectors across the country,” she says. However, her concern is that although there has been a substantial increase in the social activities incurred by the firms, the spending has mostly gone to the set priorities of the company rather than the democratically determined priorities. For instance, combating various diseases and promotion of education accounted for 44% of the total CSR expenditure last year while reducing child mortality received no funding and eradicating extreme hunger and poverty received only 6% of the total CSR expenditure. Has the 2% mandate in the Companies Act, 2013 been good news for non-profits? Both the CRISIL and Prime Database analyses show that only a little over half (57%) of the companies complied with the 2% stipulation. The underspending also means that if NGOs had expected a funding nirvana from CSR, it is not yet in sight. Though most companies look for either NGOs or government to partner with, the amounts going to them are far less than what were expected; and they do not compensate for the loss of declining foreign funds or government grants. Though large NGOs have seen a spike in donations from companies, the grants given have not been as large as expected, nor transformational. They have not led to scale in the operations and impact of NGOs; nor have they led to policy changes, or to the strengthening of the development sector as a whole. Where do you see gaps in CSR implementation? 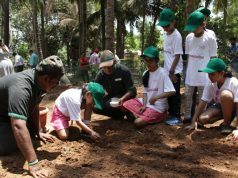 Fear that the companies would find their way to avoid shelling out money for CSR activities has appeared to be well-founded. A survey by accountancy firm KPMG found that 52 of the country’s largest 100 companies failed to spend the required 2% last year. According to the KPMG Report, geographic bias with respect to the company’s funding of CSR activities is also prevalent, as firms tend to fund those projects that are closer to where they are based. These result in industrialized areas getting preference over the poorer and underdeveloped areas that are truly in need of some development and aid. Even though there has been a substantial increase in the social activities incurred by the firms, the spending has mostly gone to the set priorities of the company rather than the democratically determined priorities. Of the nine different schedules prescribed by The Companies Act, 2013, two schedules: combating various diseases and promotion of education accounted for 44% of the total CSR expenditure while reducing child mortality received no funding and eradicating extreme hunger and poverty received only 6% of the total CSR expenditure. How did SOS Children’s Villages get its name? Dr. Hermann Gmeiner, a child welfare worker, initiated SOS Children’s Villages to help parentless children after the world war. The organization was registered in Austria in 1949. With the generous support of donors, child sponsors, partners and friends, Gmeiner’s vision of providing loving care in a family like environment for children without parental care, and of helping families stay together so they can care for their children, has grown steadily over seven decades and is active in 135 countries and territories around the world. Out of this, SOS India has the largest reach with 32 projects in 22 states providing direct care to over 7,000 once parentless children annually under our Group Foster Care model. We have been present in India for 53 years and provide long term care and support to parentless and abandoned children in a very unique family-like environment. We also support children who are at risk of losing parental care. 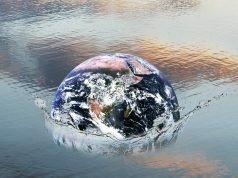 What is your approach towards aligning with the United Nations Sustainable Development Goals? As a child care organisation and as individuals, SOS Children’s Villages of India have the chance to ensure that all children have equal opportunities to grow with dignity, security and respect – in a caring environment as every child deserves. Our work to care for and protect children made vulnerable by the loss of parental care also plays an integral role in helping the world meet some very ambitious goals enshrined in the SDGs. SOS India has 443 families. These families have a maximum of 10 children in the care of a dedicated mother. The mothers at SOS India work towards building a close relationship with, and providing the security, love and stability to, every child entrusted to her. Presently SOS India has 26,000 children under its direct care. We aim to double this figure over a period of 3-4 years without compromising on the quality of care that we provide. Tell us about your current role at SOS Children’s Villages of India. As the head, I try to lead by example and have been able to steer quite a few innovations resulting in strengthening of the organisation. I have been instrumental in initiating technical partnerships with Government stakeholders to expand the outreach of the organisation to larger number of children in need of care and protection. I have also tried to drive the SOS India brand and enhance its visibility as a thought leader in the child care space. Which companies has the India chapter partnered with? Of the funds raised in India, SOS India raises about 50% of its funds from corporates through CSR funds. We work with at least 60-70 corporates from various sectors across the country. We collaborate with them on various thematic alignments ranging from Education, Child Nutrition, scholarships to women for empowerment, community development, livelihood promotion, skilling, youth leadership and employability. Corporates have also helped us in construction of children’s villages, youth homes, computer centres and provided capital assets like vehicles, solar power units, computers furniture etc. Since our programmes have a lengthy tenure of over two decades, we look for sustainable partnerships with corporates which extend beyond one year. We are seeing an increasing trend on this front. Some corporates have partnered with us consistently for over 6-7 years which speaks volumes about their trust. SOS India also provides excellent opportunities for employee volunteering and engagement since there is a pan India presence across 22 states. Which is your latest partnership? Around 47 per cent graduates in India are unemployable and lack of proper communication skills and professional skills are a major drawback in employing them. Responding to the need, SOS Children’s Villages of India (SOS India) and AkzoNobel India are launching the first of its kind career skilling programme “Let’s Colour” for youth from SOS CV India, spread across the country. Helping to transform lives is at the heart of Let’s Colour initiative, using education and renovation to drive a positive impact on the issue of youth unemployment. Additionally, AkzoNobel India is painting 10 Family Homes of SOS Children’s Village Greenfield, Faridabad, and flagging off the launch of the skilling programme by painting the Community Centre in the village in record time. The aim of this initiative is to mainstream nearly 350 SOS CV Youth across the country in 2019. In your experience, what would be the ideal partnership model between corporates, non-profits and the government? 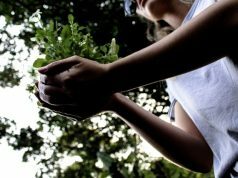 As seen everywhere, collaborations and associations make for an effective business case with respect to achieving maximum impact for a given CSR capital investment. While there can be apprehensions and concerns raised on the ease of tracking data and progress amidst collaborations, the reporting requirements have ensured that the process is transparent with corporates having to disclose their funds spent in each collaboration. NGOs on their part have never been better positioned than now to be the consumers of a large quantum of capital. The premise of companies wanting to associate with them in their efforts not only fuels their cause directly but also increases the visibility of their work, thus building trust and credibility for them.